Make a big impact, with boxes that are just perfect for little presents. The boxes are delivered pre-assembled and just need to be opened up! The boxes are fully printable from the exterior. 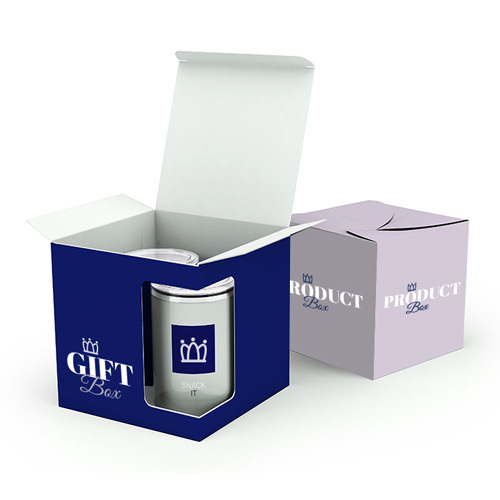 The boxes are available with a window to give a sneak-preview of your gift or product. 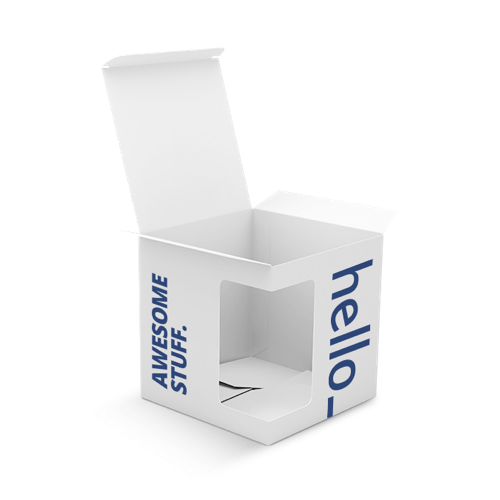 Cube Boxes are made of 300gsm silk coated paper. Therefore, we wouldn't advise putting too much weight in the box. The box with window lid has the following size: 110x110x110mm. The box without window has the following size: 100x110x110mm. What type of material are Cube Boxes made? How are the Cube Boxes delivered? Cube Boxes are the perfect product packaging! Impress your clients and customers today! 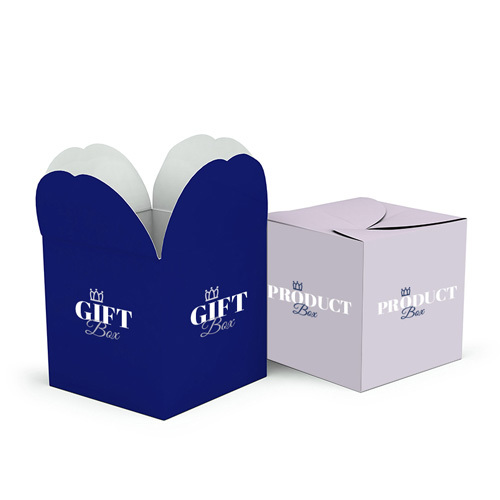 Cube Boxes are made of 300gsm silk coated paper. Therefore, you should be careful not to place too much weight in the box. For the delivery of your cube boxes we use multiple carriers. Because of the highest reliability, in most cases we use UPS or DPD.